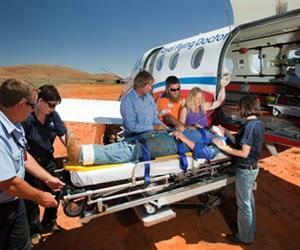 The RFDS has a direct impact on the health status of people living, working & travelling in remote areas. Western Australians will have greater access to medical services wherever they live or travel in the state, with the Abbott Government to support the purchase of a new aeroplane for the Western Australian Royal Flying Doctor Service (WA RFDS). Minister for Health Sussan Ley said $2.5 million would support the WA RFDS to purchase a PC12 aircraft to service rural and regional areas across Western Australia and is in addition to the Australian Government's $2.7 million investment in the construction of a new RFDS base at Broome. Ley said the $5.2 million investment in the Western Australia Royal Flying Doctor Service recognised the unique challenge of servicing Australia's largest state. In addition, the Abbott Government has committed $137.6 million over the next two years for the RFDS nationally. "The Abbott Government is committed to ensuring that people in rural and regional areas receive the right care, in the right place at the right time and ensure Western Australians stay healthy and happy," Ley said. "Western Australians who are holidaying, working or travelling in regional areas will benefit from the expanded Royal Flying Doctor Services and know that if something goes wrong that emergency and professional medical care is now more accessible." 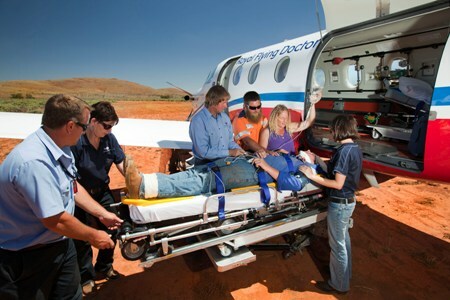 Ley said over the last five years WA RFDS transportations to Broome had increased 236 per cent to be Western Australia's busiest patient transport hub in the north of the state. Ley made the $2.5 million announcement as she visited the Royal Flying Doctor Service's Kalgoorlie base. "We know regional and rural areas face additional barriers to accessing health services close to home and it is our hope this commitment will continue to improve access for those living outside of metropolitan Australia," Ley said. "Improved access to quality services will ensure people get to stay close to home or spend less time away from their family and loved ones if they get sick. "The Royal Flying Doctor Services have a direct impact on the health status of people living, working and travelling in rural and remote areas, including Indigenous communities and the new aircraft will help ensure its work can continue." Royal Flying Doctors Service Chief Executive Officer (Western Operations), Grahame Marshall said the funding for the new aircraft was crucial to the RFDS fleet replacement. "The Pilatus PC12 aircraft are vital for us to be able to continue to meet the growth in patient demand for our services across the vast distances of Western Australia," Marshall said. "We are extremely pleased that the Federal Government continues to support our PC12 Aircraft Replacement Program, which is essential given the high level of utilisation of our aircraft fleet." In WA the Royal Flying Doctor Service has a fleet of 15 sophisticated aero medical retrieval aircraft comprising 14 Pilatus PC12 single engine turbo prop aircraft and one Hawker 800XP jet aircraft, covering 2.5 million square kilometres providing life saving intensive care in flight to 9,000 sick and injured patients per year.